1. Dentures known as ‘Waterloo Teeth’ were stolen from the dead on the battlefield. 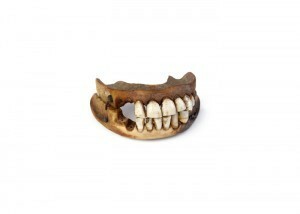 Dentures were in high demand during a period where oral hygiene was non-existent and sugar intake, high. War provided plenty of opportunities for scavengers and their pliers. Business boomed for dentists who openly sold their dentures as ‘Waterloo teeth’. It was preferable to think your new ivories came from young men recently killed in battle rather than from rotting corpses in the churchyard. 2. ‘The Black Brunswick’ Totenkopf (Death’s Head) The Black Brunswickers were known for their dark uniform and distinctive cap badge, known as the Death’s Head. 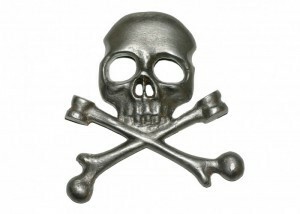 This skull and cross bones was a symbol of their hatred for the enemy. They fought as part of the Allied army against the French, who had previously seized their State. 3. 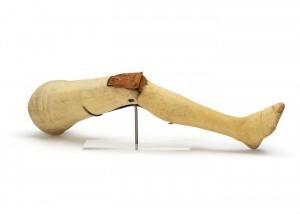 The ‘Anglesey Leg’ Most amputees of the period would be given artificial legs made of wood known as ‘peg legs’. The more fortunate would receive ones made of metal with hinges that locked, so the ‘knee’ could be straightened or bent according to what you were doing. Then there was the ‘Clapper leg’, which made a clapping sound as you walked. It was Lord Uxbridge, Commander of the British Cavalry who benefited from the latest in artificial limb technology – the Anglesey Leg, designed by Henry Paget. Carved from fruitwood, strips of kangaroo tendon enabled the foot to move upwards as the knee bent. This was particularly useful to stop amputees from tripping on the cobbles. It was still being sold at the beginning of World War One. 4. The haunting sound of Bagpipes Every Highland Regiment during the Napoleonic wars went into battle accompanied by at least one set of pipes. The unmistakable sound gave courage to the young men who served alongside them. 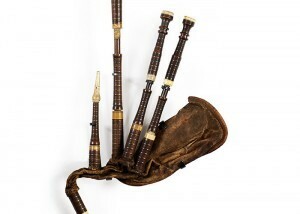 The MacKillop family owns a set of bagpipes once used by the 79th Regiment of Foot (Cameron Highlanders). Details of the piper himself have been lost, but an inscription on the pipes clearly states “…played at the Battle of Waterloo’. 5. 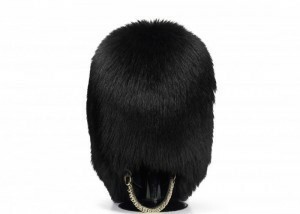 A Bearskin Headdress of an officer in the Grenadier Guards Did you know the origins of the Bearskin used for ceremonial duties today, comes from the Battle of Waterloo? The idea was taken after the British 1st Brigade of Foot Guards defeated the fearsome French Imperial Guard, whose infantry wore bearskin headdresses. 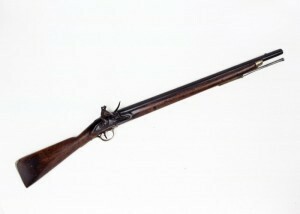 Being 18-inches high, they were designed to make the soldiers taller and appear more frightening in battle. 8. 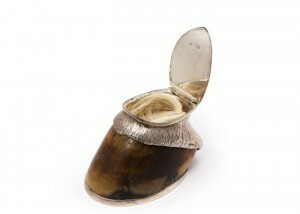 A snuff mill made from a horse’s hoof Snuff was a popular commodity in the 17th century. Made of ground tobacco leaves, a pinch would be inhaled into each nostril using the back of your hand. 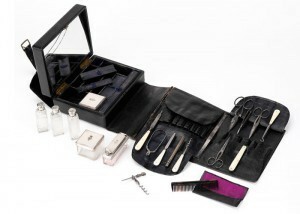 It needed to be stored in an airtight container. The hoof belonging to Marengo, once ridden by Napoleon at Waterloo was set in silver and used as a snuff mill. It now holds a lock of hair from Marengo’s tail. 9. 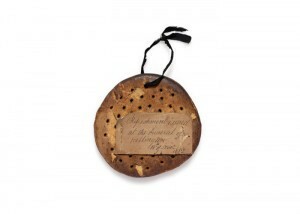 A ‘Housewife’ Sewing Kit Captain Newton of the 1st Regiment of Foot Guards, along with every other soldier, carried his ‘housewife’ around with him at all times. This was a small sewing kit, often embroidered by women at home for their loved ones to take to war. The silk pockets carried a pincushion, various threads and five buttons to help mend a uniform. 10. 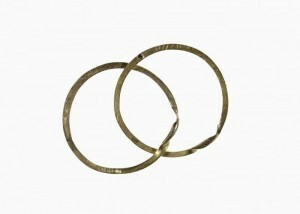 Two gold interlocking rings –from the battlefield During this period, enlisted men within the ranks were forbidden to write home. Sergeant Robert Porter, a Quartermaster for the 28th (North Gloucestershire Regiment) found a way of getting his message home. Having survived the Battle of Waterloo, he sent two interlocking rings, inscribed ‘Robert.Amelia’ to his wife, with the clear message he was alive and still loved her.